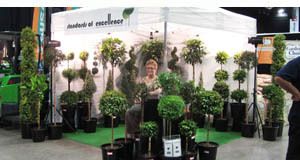 Award winning nursery Standards of Excellence supplies topiary plants to the horticultural trade and public. We are open by appointment and can deliver to all parts of New Zealand. 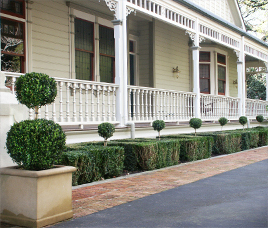 Today they frequently go hand in hand with stylish entrances to restaurants and stately homes, but topiary shapes have a long and noble history that dates back to Egyptian and Roman times. They are a softer alternative to marble statuary and immediately show that someone cares about first impressions. Shapes can be simple geometric designs or elaborate and whimsical. There are both classical and contemporary choices, all tribute to the aesthetic expressions of their owners. At Standards of Excellence we want to give you an instant solution to a look that actually takes many years to create. Every good garden design starts with a plan. This does not mean that every detail needs to be documented on paper, but ‘the bones’ of a garden need to be strong and proportional to please the eye. You may be fortunate enough to play with lots of space, changing the landscape to meet your needs or you may be restricted to a small courtyard or balcony. The first consideration is always the same: How can I create balance and harmony. There are of course many factors that influence your plant choices, such as climatic variations, sunlight, seasonal interest, choosing a specific style or colour, to name a few. The following tips are possible solutions to some challenges that can change a problem area into a stunning feature. Welcome and thank you for coming to my website. Please feel free to spend a few minutes and browse through the pages to find inspiration or discover that special plant you have been looking for. The plants shown here are of course only a small sample of what is available. My shaped plants are growing and changing constantly and the nursery is open by appointment to my valued customers for a personal viewing. I also cater for groups up to 40 people with a talk on topiary and pruning demonstrations in our spacious barn. I am happy to arrange catering to make group visits a very satisfying occasion. Groups of twenty to forty people can enjoy a couple of hours of entertainment at Standards of Excellence. Visitors are seated in our spacious barn while Claudia talks about the history of topiary, its place in the garden today and practical tips on how to care for your precious pieces. This is followed by pruning demonstrations of the most popular shapes and some time for questions and answers. And last but not least there is a guided nursery walk with the chance to purchase plants or ask one-on-one questions. Catering for morning teas, lunches or afternoon teas can be arranged on demand. For more information or bookings please contact us by phone, text or email. 21-23 November 2014: The 2014 NZ Garden & Art Festival was a great success. My thanks go to the organisers who worked tirelessly to give visitors a full week of pleasure and indulgence. Placing my ZEN CLIPS exhibit and sale stand inside a marquee at the Lakes Expo Pavilion turned out to be the right choice during these blustery and changeable spring days. Many thanks also to my ‘hands-on ’husband Andrew, to Claire who topped up the stand when it looked a bit empty and to Louise who helped moving the display to make room for the evening entertainment. 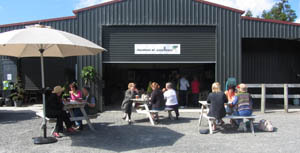 November 2013: The Piako Fete was again held at the Daltons Plantation in Matamata. It was a lovely and sunny day with inspiring gardens designed by Zanthe White and a charming Café to relax for a while. 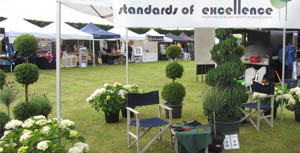 The many stallholders displayed a great selection of goods from essential oils to, well, topiary. If you were one of the lucky ladies there on the day, you will well remember the happy atmosphere and the many subtle hints reminding you that Christmas is just around the corner. 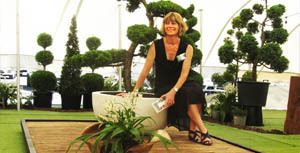 To get the latest on planned exhibits and other news of the Topiary kind, please contact us at your leisure. August 2013: I was fortunate enough to stay in Kyoto for a few days in August 2013. 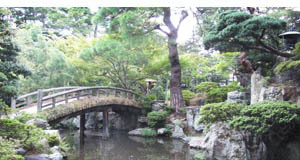 The stay was all about plant research of course and there was no shortage of inspiration in the many Temple Gardens and public areas throughout Kyoto. I covered a lot of mileage with a push bike and thought I blended in nicely with the locals. Ha ha. To see my own selection of ZEN CLIPS, please go to the ZEN CLIPS catalogue or contact us and tell us about your needs. July 2013: You can’t see Hong Kong in one day, but if you are very selective you will surely find what you are looking for. For me it was plants, as usual. 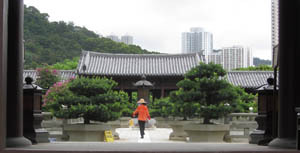 The Chi Lin Nunnery and adjoining gardens were a true treasure grove, showcasing traditional garden art against the background of a thoroughly modern Megacity. 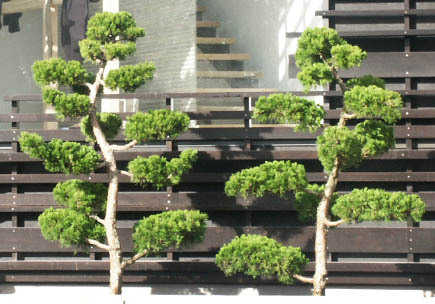 To see my own take on large bonsai plants, please go to the ZEN CLIPS Catalogue or contact us with your questions. 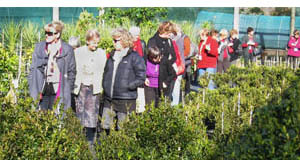 November 2012: The New Zealand Garden and Art Fest was on again in the Tauranga area. This is a biannual event that draws people from all over New Zealand. My nursery was open to the public for four exciting days; there were lots of bargains to be had and a chance for some well-earned rest in our Potting Shed Café. 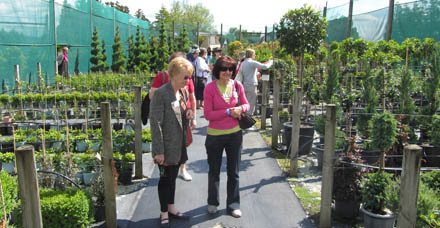 The Auckland Horticultural Trade Days have long been a regular event for Standards of Excellence. Here Claudia and her helpers meet up with Garden Centre and landscape customers old and new. Trade Shows are organised by the good folks of the Reference Publishing Company who have helped growers and clients come together for many years. Thank you guys! For follow-ups on Trade Days and to see what’s new and available right now contact us anytime.